Hallie Ephron's writing has been called "unputdownable" (Laura Lippman) "unsettling" (Seattle Times), "ingenious" (Joseph Finder), "richly atmospheric" and "Hitchcockian" (USA Today), and "deliciously creepy (Publisher's weekly). Her award-winning NEVER TELL A LIE was made into a movie for the Lifetime Movie Network. 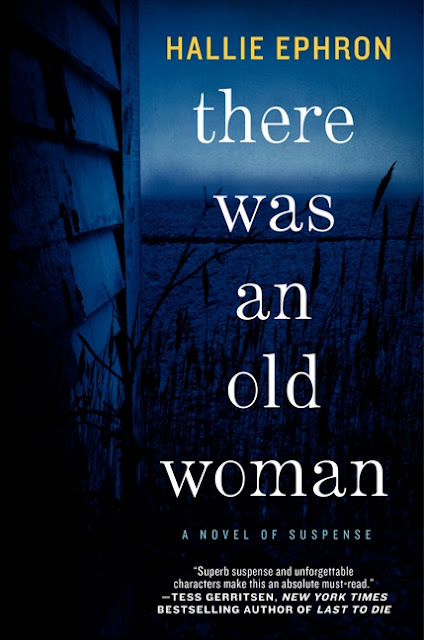 With THERE WAS AN OLD WOMAN she delivers her most accomplished novel of psychological suspense yet. 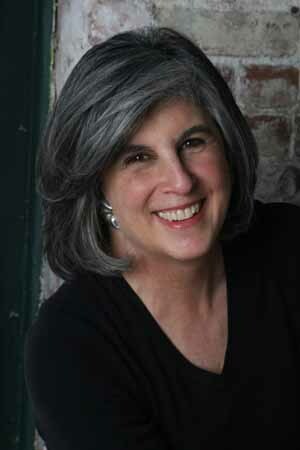 Hallie teaches writing; her WRITING AND SELLING YOUR MYSTERY NOVEL was nominated for an Edgar Award. She also reviews crime fiction for the BOSTON GLOBE. When I started writing THERE WAS AN OLD WOMAN, it felt like stepping off a cliff. It's been so gratifying that early reviewers are praising the two things that worried me most -- my old woman and the Bronx neighborhood I wrote around her. As I wrote Mina Yetner, the book's 91 year old protagonist, I tried to channel my mother-in-law who died at 91 and who claimed she felt no different than she had when she was 21. When my daughter read the book, she told me Mina reminded her of her grandmother. Fist pump! But I do think Mina is very much ME, or at least the person that I expect to be when I'm so old that I don't feel like I have to apologize for having so many opinions. As much as this is a book about an old woman, it's also about a place. I imagined Mina sitting on her back porch, sipping tea, the newspaper obituaries column in her lap, gazing contentedly across "her" marsh to the Manhattan skyline. That's the scene I started writing, and that's how the book begins. I thought I'd have to go to Jamaica Bay to find a spot like that, but a friend who scouts locations for films told me about the perfect spot in the Bronx. Marsh. Skyline view. Quirky old houses. It's on the western edge of Clason Point in the Bronx, approximately where the Bronx River meets the Long Island Sound, overlooking the Soundview Lagoons. That's where I set the book. I call it Higgs Point -- a fictional neighborhood in a real geographic location (got that?). I named it after Thomas Higgs, a real historical figure who once owned that land. Though I invented the details of the neighborhood, I used its history. Its narrow lanes are lined with houses built on long narrow lots where there were once beach-front tent platforms. Summer-weary residents of Queens used to come over by ferry (there was no Bronx Whitestone Bridge) to camp out. The Siwanoy Indians who once lived there called it Snakapins, meaning Land Between Two Waters. How cool is that? With her spectacular view of Mahattan, I knew Mina needed to have a connection with the Empire State Building. Eventually I discovered that when she was little, she watched it go up. As a young woman, she got her first job working there. And she was working there when a B-25 bomber crashed into it on a foggy morning in 1945. The pieces tie together -- the remnants of a long-gone amusement park, the Empire State Building, a historic fire -- through the relationship between two main characters, a young woman and a very old woman who lives, not in a shoe, but in the Bronx. It's always fun to have you here, but especially right now. THERE WAS AN OLD WOMAN knocked my socks off!! I loved it and I can't top anything anyone else has said - everyone is saying such great things. I'll just add some very loud applause, a few whistles and a BRAVO, my friend! THANK YOU! I'm happy to be here! Happy Easter, all! My first book event is tomorrow at Brookline Booksmith and I am psyched. This blog is one of the first times I've "talked" about it, an I'm a mix of anxiety and hope. Hallie, I've just started reading THERE WAS AN OLD WOMAN and am enjoying it very much. It was hard to put down once I started. I especially like your take on the old woman. Wishing you much success. Kaye, thanks for hosting Hallie. Thanks, Mason! "Hard to put down" is what I aim for -- I want you to start page 1 taxiing down the runway at LAX and get all the way to the terminal at JFK without feeling the time go by. Hallie--I cannot wait to read this book. I've held of buying, hoping I'll get to one of your events, but our schedules aren't meshing and I may just give up. I'm inventing a fictional history (but hopefully believable history) for my fictional town now. I'm so looking forward to reading yours. Can't WAIT to read Clammed Up when it comes out in September. A Maine Clambake Mystery series, what could be more delicious? Sounds like a book I would enjoy reading, Hallie. I enjoy stories about people with rich life experiences behind them. Best wishes for great success with it.